[Johannesburg, 13 July 2017]: Magalies Park, a time-share facility situated on the Hartebeespoort Dam with exceptional views of the Magaliesberg, is known for its top-notch golfing facilities. 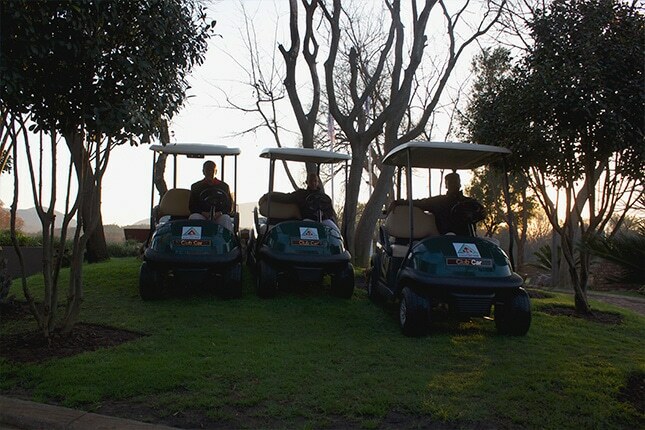 Golf Club Manager, William van Mierlo, has seen fit to invest in no fewer than 60 Precedent i2 Electric Club Cars from Smith Power Equipment to update his fleet of rental golf carts. The 60 electric Club Cars were delivered to Magalies Park in June 2017 and were selected based on their quiet operations, due to the need to maintain the tranquillity of the park for visitors. The Precedent i2 also comes in a petrol model with the best-in-class EFI (electronic fuel injection) engine, for additional power, enhanced reliability and lower maintenance costs, and boasts an AlumicoreTM Frame structure for an enhanced life span. “The usual steel frames used as the ‘skeleton’ for most golf carts have a tendency rust over time,” says van Mierlo. With this in mind, we can rest easy in the knowledge that our golf carts will perform better and last longer,” he adds.